I was out shopping this weekend for some set items, but came away with a few other bits I didn’t plan to buy. So here’s what I got! I’m in dire need of some new clothes and this comfy, over sized knit is perfect for the colder weather. 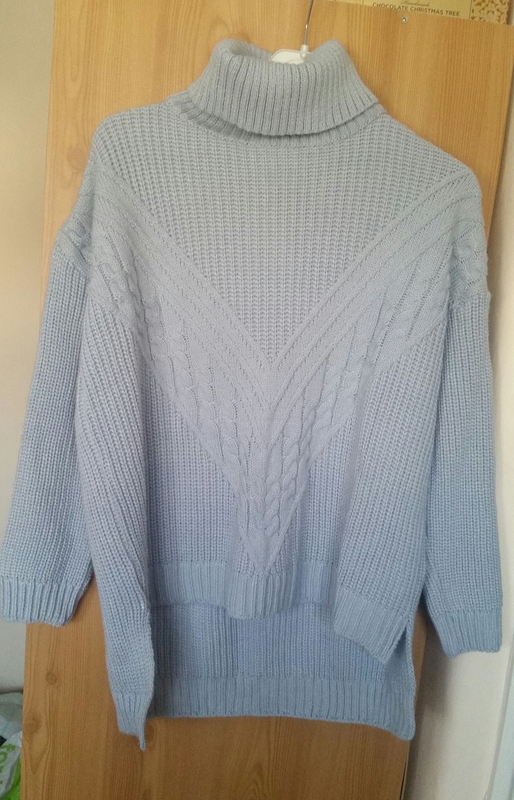 It’s a gorgeous blue/grey colour and the roll neck makes it warm and on trend. 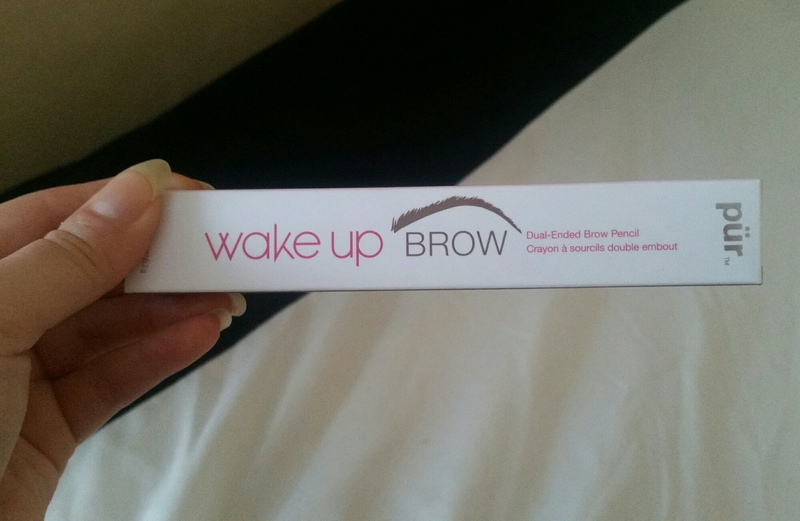 Currently I use a Loreal brow pencil or Lancome’s brow gel to boost my eyebrows, but I felt it was time for a new product. This double ended pencil has a thin crayon for brows, making it easier to draw more natural looking hairs. It also has a creamy coloured pencil the other end, for highlighting underneath brows or to use on the waterline of your eyes for brightening. And finally, there’s a spooley to brush the product evenly through brows. I’m really looking forward to testing this product. I’ve tried brow gels in the past and been disappointed, but I’ve decided to give them another try. 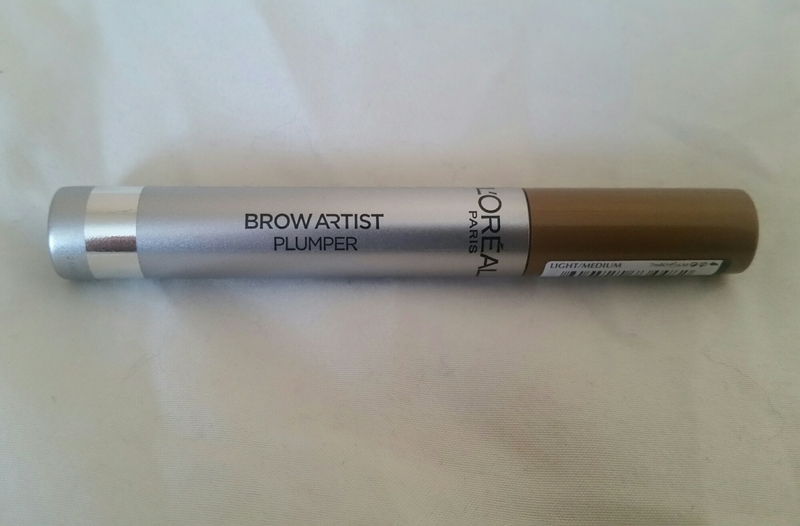 I plan to use this Loreal one over my new Pur brow pencil to help fill my eyebrows out and make them appear thicker. 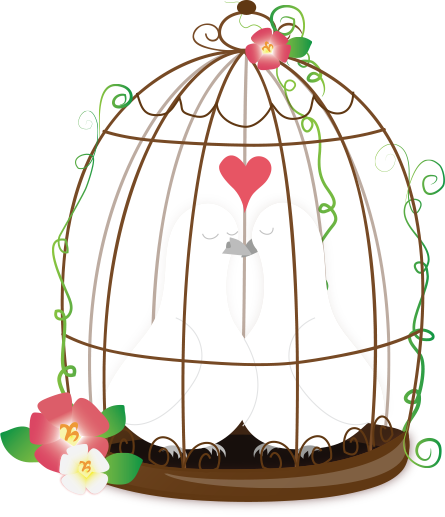 My hair’s naturally a very dark brown, so to get it to the platinum colour it is, I have to have it coloured professionally. Once the toner wears off, my roots take on a yellow tinge. This toner helps keep my colour fresh between hair appointments. I already own one of the non-permanent hair colours in the shade Rose, but I decided to get The Big Pink as it’s a brighter, more vibrant colour. I’ve yet to use either of these colours, but I’ll keep you updated when I do. And just incase I hate the pink hair dye? Well, I bought Washing Out Liquid which is a shampoo to fade the colour faster. 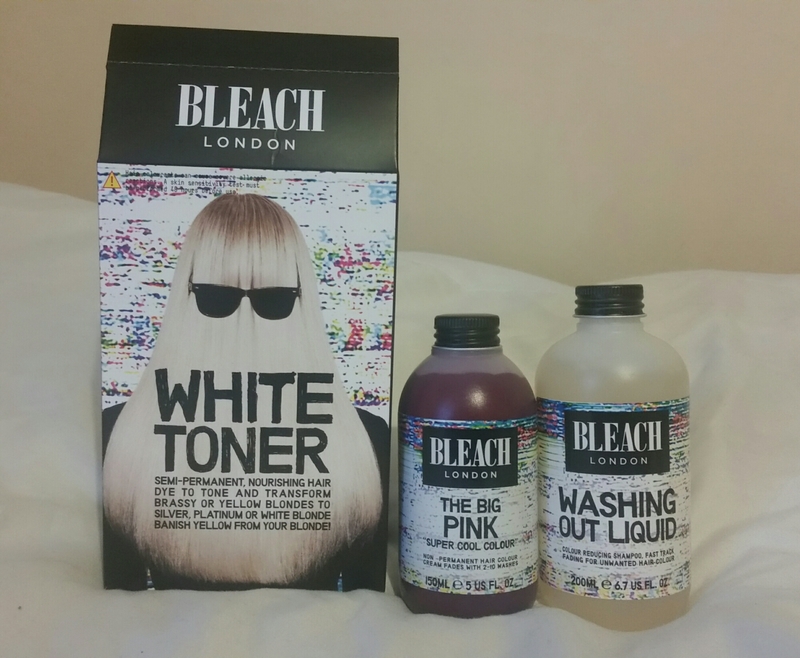 A definite must have if you don’t want to commit to a colour for too long. 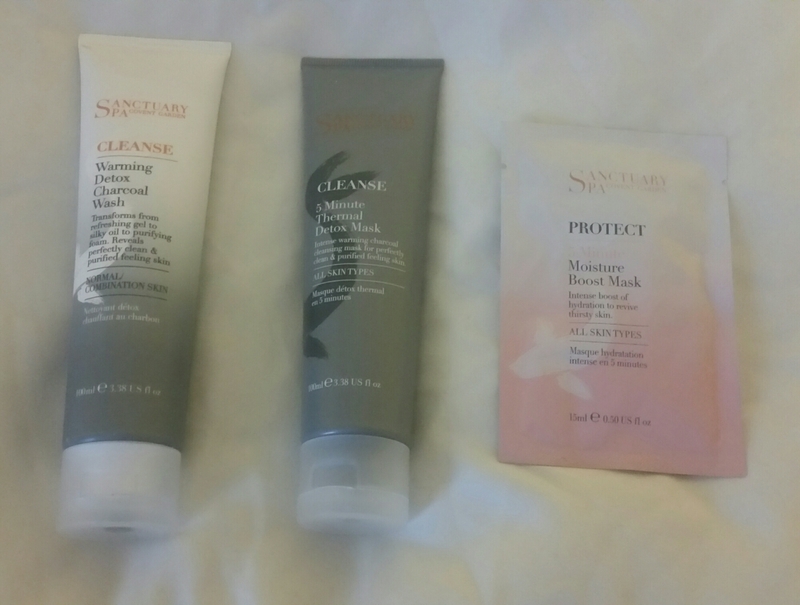 I love Sanctuary products and I’ve seen the new Charcoal Face Wash and Detox Mask in every magazine. The face wash is for normal/combination skin types and warms up once applied to skin. It opens up pores to remove impurities and reduce shine and oil. The Detox Mask again helps with problematic skin and I’ll use this as a weekly treat for my skin. I also bought a sachet of the Moisture Boost Face Mask, as I suffer dry patches, especially in winter time. It contains honey, shea butter and rosehip oil, all of which are great for thirsty skin. If I find the Moisture Boost Mask works, I’ll also buy the full sized version of this. When it comes to waiting for my nails to dry, I’m pretty impatient. It’ll be interesting to see if this dries my nails in 60 seconds as it promises. If it does, it will definitely become one of my favourite products. So, that’s my mini shopping haul complete. Let me know if you’ve tried any of these products. That jumper is so pretty and looks so so cosy as well! 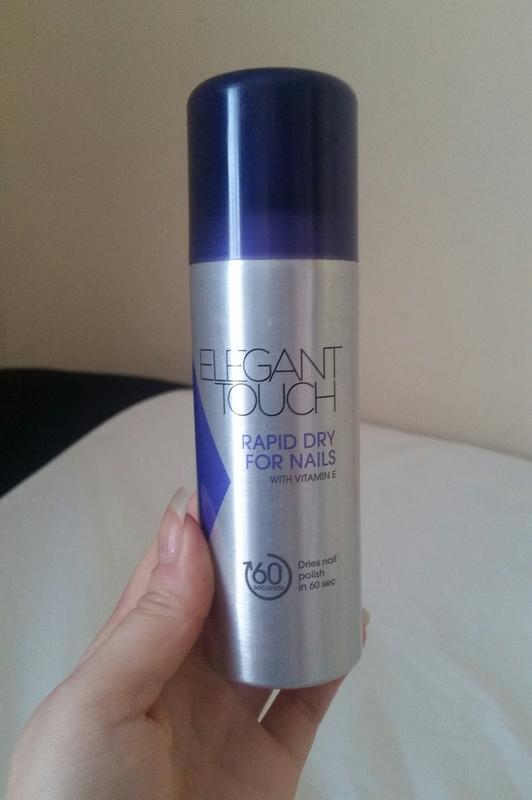 I’d be interested to see how you get on with the nail polish dryer…I always end up with dents from my sheets! Love the sweater! Any idea much it was or if it is available online?